There was an overwhelming response to our blog about Infertility and Chiropractic. We wanted to provide more information and support to couples who are struggling with infertility. The number of infertile couple continues to grow. According to an article published in the Human Reproductive Journal in 2012, it is estimated that in Canada 11.5-15.7% of couples, where the woman is between the ages of 18 and 44, are infertile. These numbers were documented as significantly higher than they had been ten years prior and could be even higher now. There are many factors that can lead to infertility. Some of which may include; diet, thyroid issues, stress, ovulation dysfunction, hormonal problems, pelvic issues and interrupted nerve communication to reproductive organs. Infertility is often a combination of many physical factors, as well as mental and emotional reasons. A body and nervous system that is functioning optimally is better able to respond and adapt to internal and external stressors. It is our nervous system that responds to the world around us. If our nervous system is properly functioning it will react accordingly to potentially harmful factors and manage these issues more easily. Your nervous system is your body’s communication system and is encased in your spine. Misalignment in your spine, called subluxations, will interfere with your body’s ability to communicate and function properly. The nerves in your lumber spine are directly connected to your reproductive organs and subluxations can interfere with the nerves and their ability to function and communicate, which can affect fertility. 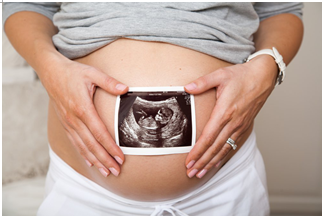 A functioning nervous system is essential to couples wanting to get pregnant. A study published in the Journal of Vertebral Subluxation Research documented a number of cases where infertile women who received Chiropractic Care became pregnant. Dr. Behrendt, associate editor of the journal, led this study that looked at 15 women from various socioeconomic and religious backgrounds who ranged in age from 22 to 65. The woman each went to see a Chiropractor for various reasons; some specifically sought out Chiropractic Care to assist with their infertility, while others went for spinal adjustments and became pregnant while receiving Chiropractic treatments. Fourteen became pregnant. The fifteenth, who was 65, did become pregnant but began menstruating after a lifetime with no menstrual periods. The study found improved fertility function after subluxations were corrected from Chiropractic Care. Dr. Behrendt explained that misalignments in the spine cause interruptions in nerve communication which creates hormonal imbalances and can result in infertility. An optimally functioning body and nervous system will assist in physical health but also mental and emotional health. When your body is addressing other issues and stressors, it may decide to focus on them instead of creating an optimal reproductive environment. Chiropractic adjustments will help your body to better communicate and function with ease. Chiropractic Care allows your body to function optimally and restores its natural ability to heal itself. In addition to regular adjustments, your Chiropractor can provide support, information, tools and techniques to support your fertility and a healthy lifestyle. Chiropractic is a safe, economical and natural health care approach to infertility. Call us at 905-845-2291 to book a no fee, no obligation consultation to discuss your infertility concerns.